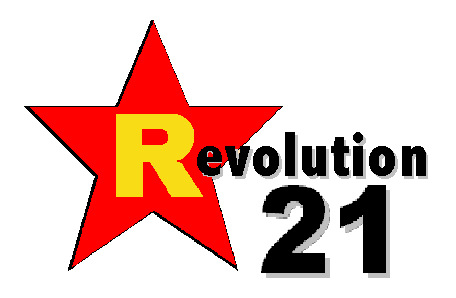 Revolution 21's Blog for the People: Joy. Eight dolla, cheap! Being 50 is a lot like being 18. Except that you might be a little smarter and a lot wiser. Also, your knees are creaky, your gut is larger, and you find that joy is a lot more a matter of the heart than of the wallet. No, being 50 is nothing like 18 at all. Forget I said anything. If you are lucky, when you are 50, your mind merely still thinks it's 18. You just wish you could remember where the hell . . . uh . . . well. . . .
You just wish you could remember what the hell you were trying to remember. OK. BEING 50 is a lot like being 18 in that you find you still can take unfettered, fist-pumping, sing-along joy in a record album you just brought home. Of course, real 18-year-olds -- as opposed to the mental kind -- probably know not what a record album is, except that it's something old people talk about a lot. And the store you just left with your musical treasure wasn't Muslcland . . . or Sam Goody . . . or Leisure Landing . . . or any one of a bazillion corner record stores, because none of these things exist anymore. No, the store you just left is an antique store. Or Goodwill. Or maybe the vinyl bin at the used-CD place. But your spirit is young. And you believe in magic. You also still giggle a little over Kama Sutra Records, but let's not get into that in front of the young'uns.